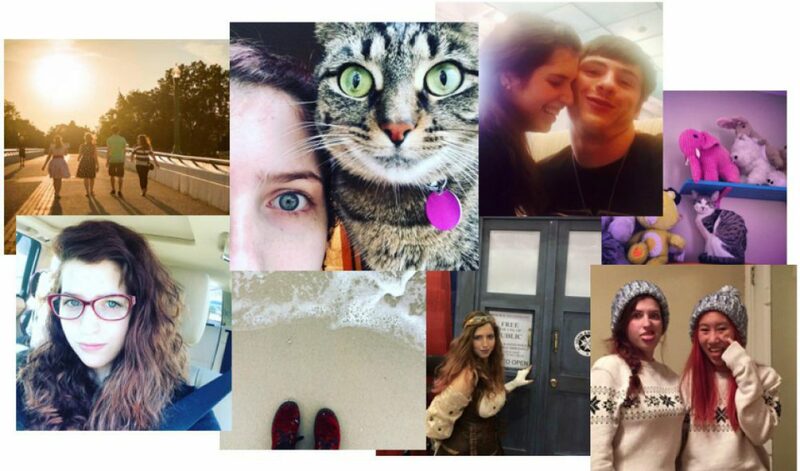 To my amazing Gracie on her 19th birthday… I know… I’m late. You like me too much to care. Grace, you are so wonderfully amazing. Today, yesterday, and all the days. For almost eight long years, you’ve stood by my side without qualms. Sure, there were a few years in the middle that we lost contact, but those only matter because we both grew, and came back with a stronger basis for our friendship. I mean seriously, you’re Marilyn Monroe reincarnate, albeit, a geeky homeschooled version, but, you’re just plain gorgeous. You have seen some s***, real and hard, but you have not only overcome it, you have blossomed. I cannot even imagine what it is to live through what you have, and still manage to have such a beautiful outlook on the world and the people in it. Your grace (no pun intended) abounds for everyone, even those who annoy you the most, and your heart goes out to those in need, so much so, that I worry that you care for others more often than you care for your own needs. Your determination in this and many other matters is something I envy at times, and your fierce wit is something I can only aspire to someday match. Your excitement for life is abounding, insane, and without end. Even on your worst days, you can’t help but find excitement in the small and inconspicuous aspects of our daily monotony. You love unconditionally. Your siblings, your friends, my sister, me, your grandmother, your parents. All are your people, all matter to you so much, that your anger when they are injured, or disrespected, is uncontainable. And your joy in their presence, the same. You are so damned confident. I often can’t believe how confident you are. I couldn’t go out into the world doing half the things you do and come out the other side bravely. I’d be a complete mess. This confidence exudes in your every action, I know you like to say “Fake it till you make it” a wonderful cliche, but really you don’t fake it as much as you’d like us to think. You are just that confident in yourself, even if you don’t realize it yet. Lastly my friend, you’re such a beautiful soul, brave, kind, and good too. You make me laugh, with reckless abandon, so, a few lifetime quotes to end….